Both the shoots and leaves can be eaten on cow parsnips. They’re best prepared blanched and go well with with starchy foods and dairy. Also known as achillea millefolium, this plant has a bitter, almost medicinal taste — and that’s because it is. Shaw swears that if you rub yarrow leaf on a bleeding wound, it’ll stop gushing within minutes. You can also harvest its leaves when still soft (typically early spring) to use in soups or salads. 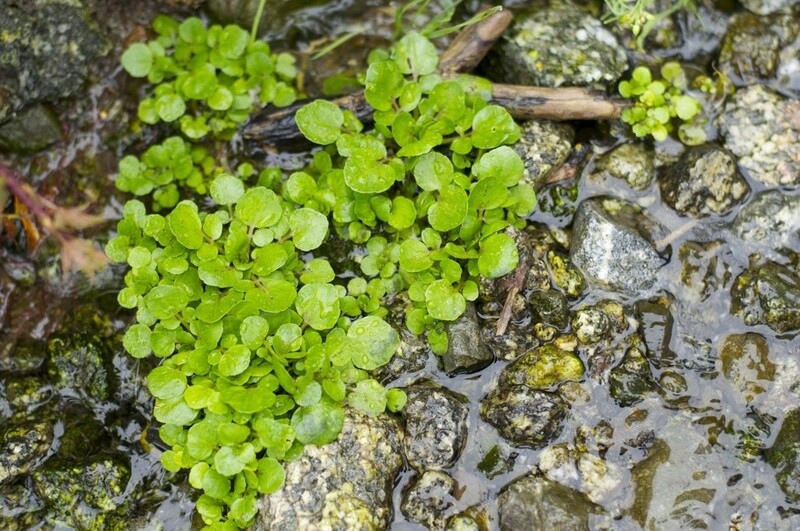 While delicious, it's best to be extra cautious when foraging for wild watercress, as it could make you very sick. It grows around water, however, it’s safest to pick the parts of the plant that don’t touch water or grown in high altitudes. It’s totally safe once cooked, but it tastes best when eaten raw. These can be used just like the European Bay leaves you buy at the store, but the flavor is a little greener and more intense. These leaves are great for panna cotta or braising meats. Bonus: the flesh on the nuts of the tree taste just like avocado when perfectly ripe. The nut also can be roasted and eaten like dark chocolate. Roast and grind the pit just like coffee. Boom. Hazelnut plants, like this one, are plentiful around the Bay Area. You can tell it’s a hazelnut plant by the fuzzy leaves. However, you’ll hardly ever find an actual nut on these plants because the squirrels and birds love these nuts just as much as we do. The best time to pick these is in August. Great for making — you guessed it — mustard. The way you can tell these sweet little berries and other berries are edible is by the star pattern on the root end. All berries with that star are good to go in your belly. These are one of those wild foods that could be lethal if eaten in large quantities, which is hard to do. According to Shaw, Lupini beans are “bitter as hell” and have to be soaked in water several times before prepping. So these might actually be more trouble than they’re worth. This tastes like cinnamon when cooked, so it’s great to use as a meat brine or for making ice cream. The rule here is that if it smells like mint, then it’s mint, and it’s fine to eat. Always. While often considered a weed, this stuff can actually be eaten raw or roasted and has a bit of a nutty taste. It's traditionally used to make horchata in Spain. You can tell this little wild radish plant by its purple flours, which are edible and are lovely for decorating dishes. The roots and leaves can also be eaten. While this plant only grows in the Pacific Northwest, it’s super easy to find in the wild. They’re delicious puréed as jam, baked in pies or just on their own. San Franciscans who frequently eat out should recognize these right away. Even some Safeway stores now carry it. But why pay for it at the grocery store when you can pick it around the Bay Area? May is the best season to harvest these salty, crunchy greens. They’re delicious with seafood. These guys are super cute. They're also easy to pick, since they don't have spiny stems, like gooseberries. As it turns out, all seaweed in North America is edible. Not all is tasty, but that’s another story. A close cousin to arugula, the pods of sea rocket can be used for relish, as it’s super peppery. It can also be pickled. These look and tastes like the most delicious raspberry you’ll ever pop in your mouth. Unfortunately, they’re really hard to harvest. This, apparently, is not edible. It’s tricky because it looks like angelica or lovage. But don’t confuse it. When in doubt, hit up Hank Shaw. Wild edibles are abundant in and around the Bay Area. And if you know where to find them and what to do with them, you might be able to feast for free for the rest of your life. That's the case for modern day hunter-gatherer Hank Shaw. He hasn’t gone to the grocery store for anything other than dairy products in over 10 years. An award winning author and forager, Shaw has been hunting for wild edibles since he was five years old and is now one of the most knowledgeable sources on what to pick and how to eat it. As such, he’s become a treasured resource for cooks and chefs around the region. 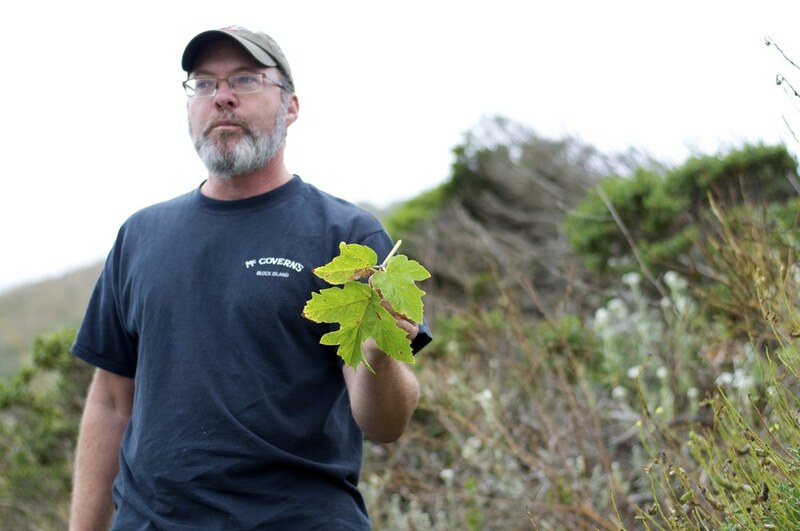 Shaw recently gave us a tour of Bodega Bay and Point Reyes for a crash course in foraging. In just half a day we learned of dozens of ingredients that are at our disposal to pick, cook and eat. Many of the ingredients we picked and tasted, like sea beans and fennel fronds, have been showing up more frequently on trendy San Francisco restaurant menus, as they’re sending cooks to forage, or buying ingredients off guys like Shaw. Of course, there are limitations to foraging — including numerous legal issues that I won’t get into — and courtesies that one should know. For one, Shaw says, foraged food should serve as a compliment to a main meal or dish, not a staple. That’s because there might not actually be that much to go around. It’s also important in order to keep colonies of plants in tact so that you and others can come back for more. Shaw’s most important piece of advice for those seeking wild edibles: There’s a very small line with foraged foods that could make something go from being a food, to a spice, to a medicine, to a poison — then you’re dead, or really really sick. So be careful when eating what you forage, please. 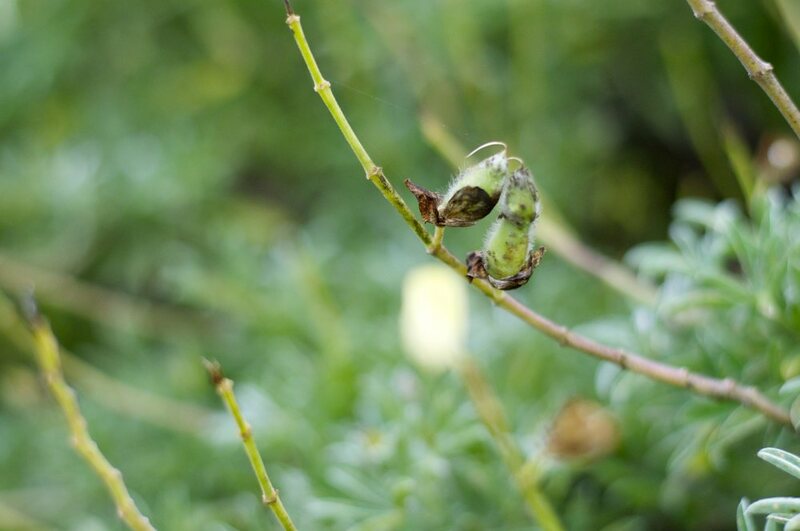 You can check Shaw’s website here for more tips and recipes on foraging for wild foods. It’s an encyclopedia of knowledge on this stuff. To get you started, click the photos above for a little rundown of things you can find around the Bay Area. Now, go forth and forage! Or contact Hank Shaw at Honest Foods for a super awesome educational tour of your own.